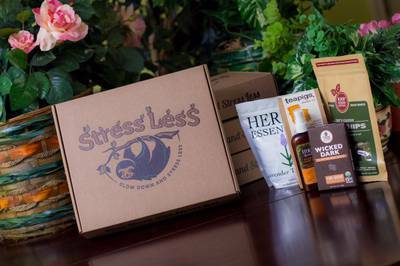 Enter your email address below to receive a notification when Stress Less Box starts accepting new sign-ups! 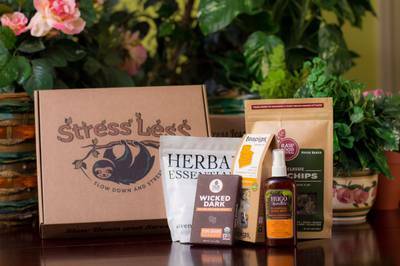 Enter your email address below to receive a notification when Stress Less Box is accepting new sign-ups again. We ship the first week of every month! Any new orders shipped now until December 17th will be shipped IMMEDIATELY. 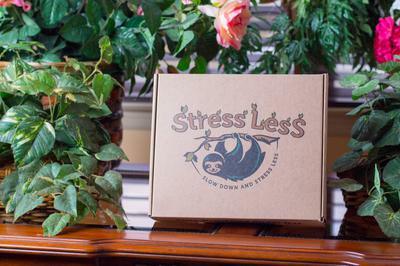 The Stress Less Box! Relaxation at your doorstep! 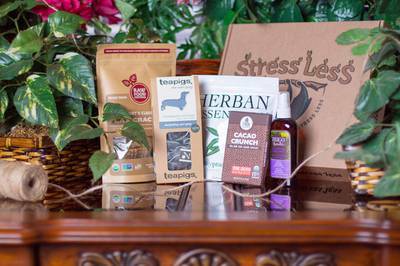 Stress Less subscription boxes can help you slow down like a sloth and relax, as well as promote a healthy lifestyle with all organic and vegan products! It's very simple. 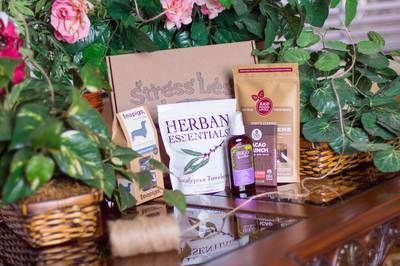 Why waste time at your local grocer figuring out which products to buy when we can do it for you? 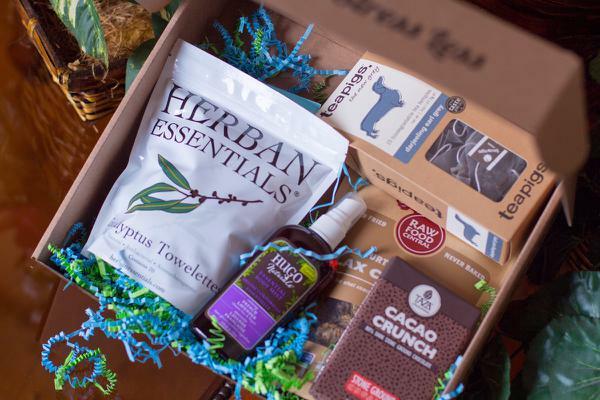 This box is optimized to help you live healthier, save time, and above all... stress less! 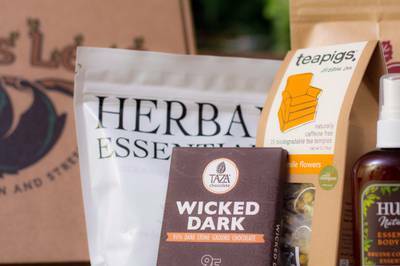 Enjoying the different flavors of herbal tea. Looking forward to the next gift. I have vascular issues. Monq inhalers have not been proven safe. I tried one and went into anaflaxous. Sp. Had to epipen. They are not a safe health product. I got this box as a gift, after using CrateJoy to ship another gift box. I’ve gotten two boxes so far, both had shipping issues. The box I just got had all of the same items as the first box, plus a broken bath bomb. This box is absolutely NOT worth the money. I am all about supporting small businesses, but I will never recommend this company. For $40 a month, I would expect a variety of items. Also, I have asthma, and I’ve gotten a monq inhaler (the same one both times..) that I can’t even use due to my disease. This box has done nothing to reduce stress and has only added to it waiting for it to actually arrive, and the MESS caused by the broken bath bomb which is now all over my couch. Don’t waste your money.